Frankly I'm exhausted. I can't even count the miles we have walked today but the charge meter on my wheelchair is flashing red! 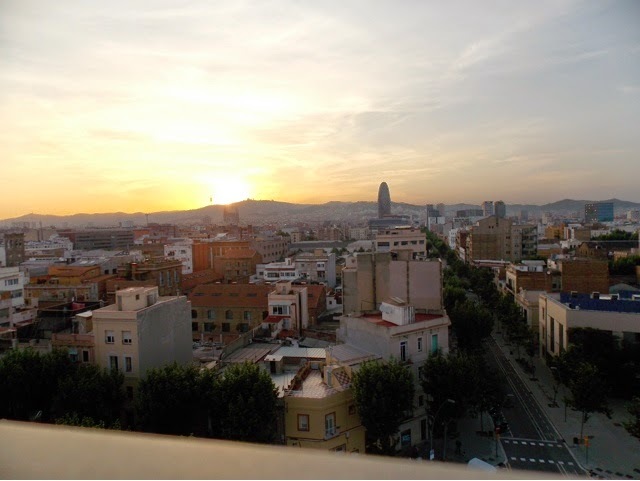 For those of you who know Barcelona, we walked from the beach to Park Guelle!! I can't get enough of this beautiful city, and I'm so pleased that we visited as it was worth every minute! The two days here were ones that I'll never forget. 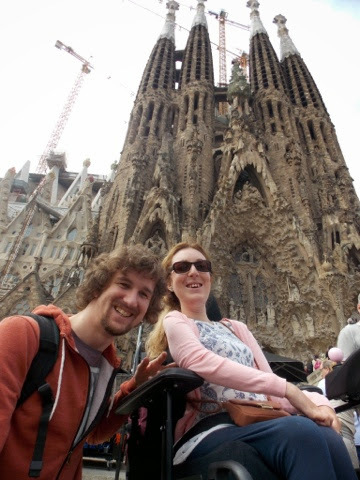 Firstly, we had a leisurely stroll to a supermarket in La Glorias shopping centre, and onto the Sagrada Familiar. 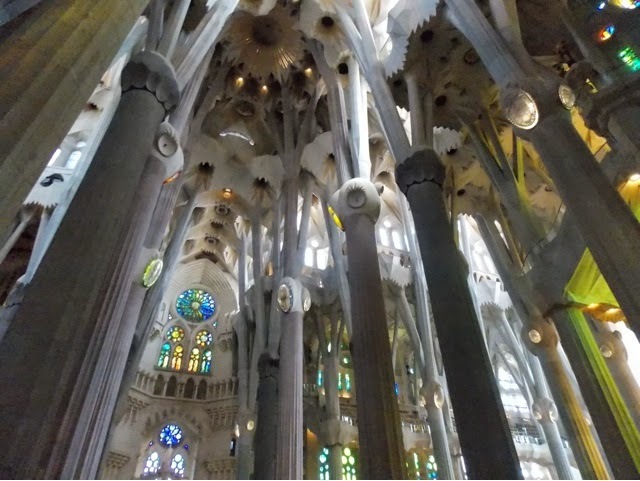 Gaudi designed the building in the 1800's and it's still being built, with hope that it'll be finished by 2020. 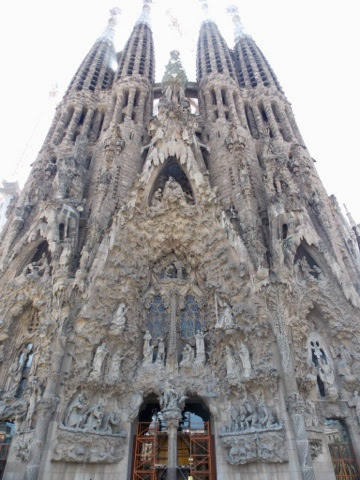 This building is so magical, intriguing and mind blowing that everyone must see it once on their lifetime, whether you're interested in architecture or not! The queue for tickets was over 200 people long (approx an hour and a half) and cost €15 per person to go inside without a tower tour. However disabled visitors and their carers (I managed to get my PA and David in with me) completely free of charge. The entrances are at designated tines though so our 1 o'clock arrival recieved tickets for a 2 o'clock entrance. So we wandered across town to the top of Las Ramblas again to take a quick look at the building of a Gaudi Museum to kill some time. 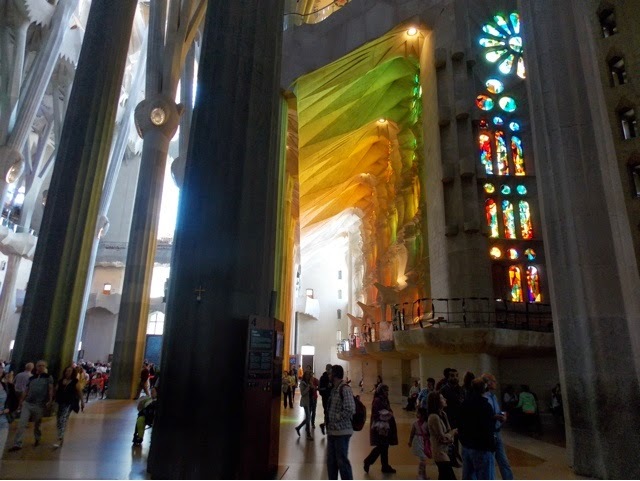 There's nothing I can add to how incredible Sagrada Familiar is: the photos can't do it any justice! Beware of steep slopes around the museum underneath the building. The public disabled toilets here were spacious and locked from other visitors, just ask staff for a key. 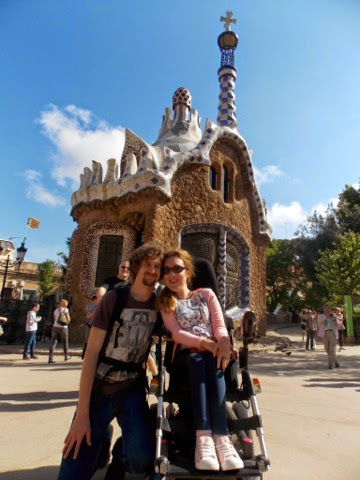 I wouldn't recommend the walk up to Park Guelle in a wheelchair, it's very steep and very far, but I did it! There are actually disabled parking bays just outside the main gates but there aren't many. 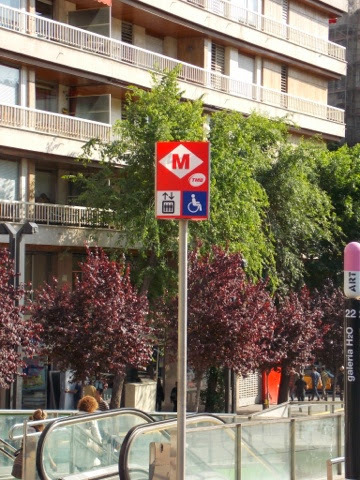 All disabled parking bays are free in Barcelona, and don't have a time limit. If you can access the park from the top entrance instead of the main gate you can buy your tickets for the main viewpoint more easily. 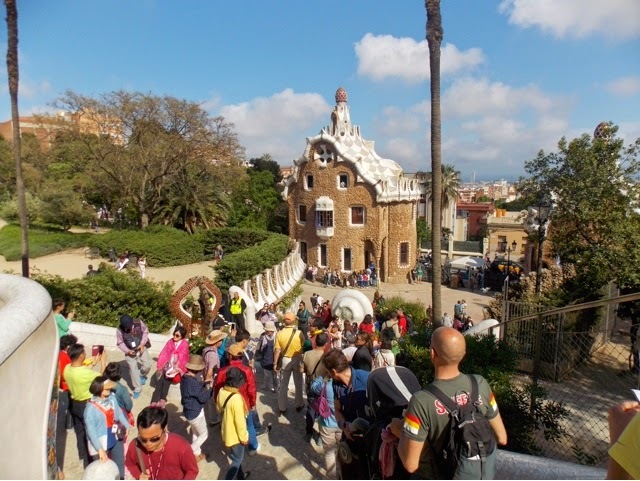 We didn't get to the viewing point from the Gaudi seat as we were all exhausted and so was my battery level, where the entrance time was an hour wait. We saw the view from the next tier up, but all of the park is accessible to electric wheelchairs, steep but smooth and manageable. 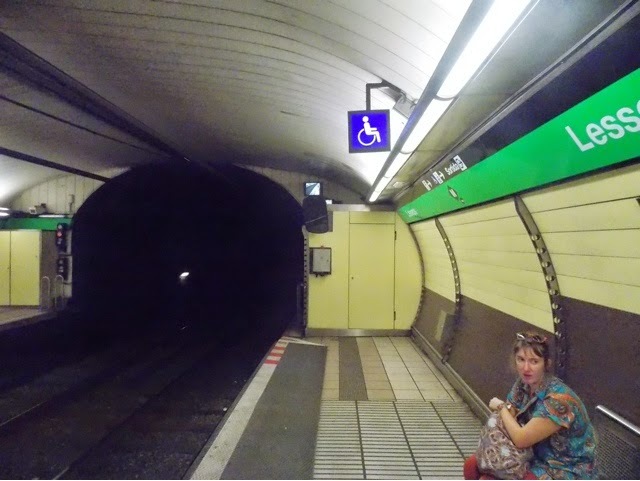 And so the time came to take the metro underground tube back to our hotel. We were quite possibly the furthest away we could be, but who doesn't love a challenge?! 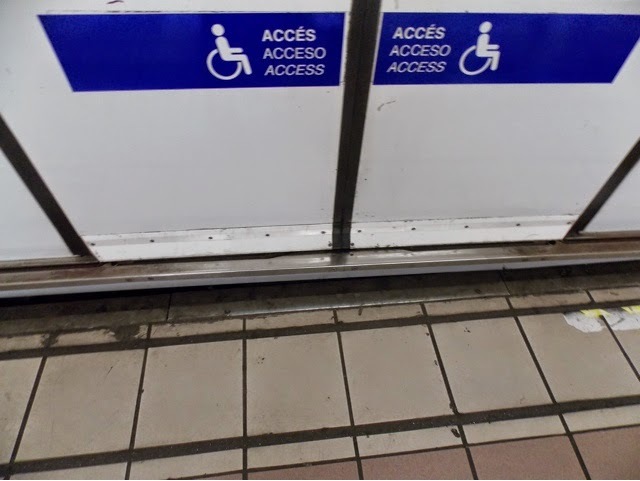 It's a real toss up between which stations are accessible and which aren't, but look out for the signs to help you out. 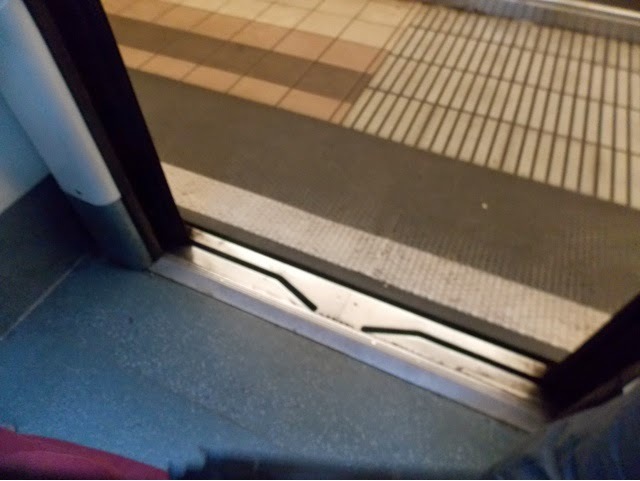 At first I thought the gap was much too big for me to get onto the metro, but when I looked along the line I noticed a disabled sign and found that the platform was raised to meet the edge of the door. €2.15 for as much travel as you like in 1hr 30 mins on any form of public transport is a bargain.